Ghana midfielder Sulley Muntari has been named Deportivo La Coruna's squad to face Espanyol in the Spanish LaLiga on Friday. 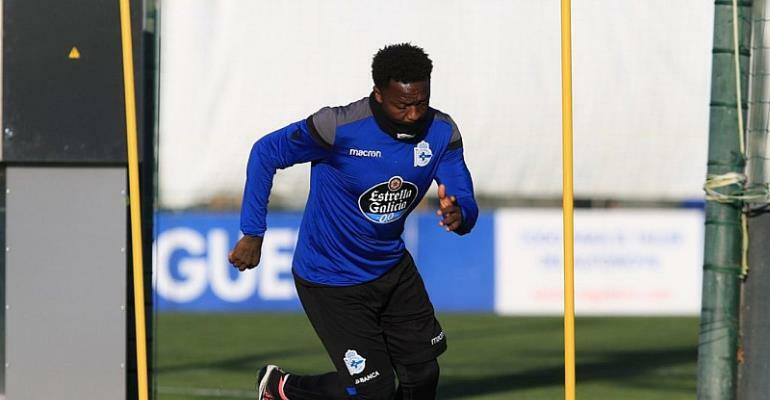 Muntari, who completed a four-month move to Depor on Thursday as a free agent, is likely to make a swift debut after being named in their squad for the 25th Week clash in the Spanish LaLiga against fellow strugglers Espanyol. At the end of Thursday's training in Abegondo, Coach Clarence Seedorf named a squad list of 19 players, which included the former Inter Milan enforcer for the game at the Estadio Abanca-Raizor. The Galicians are hoping to complete all documentation with the Liga de Futbol Professional (LFP) by Friday afternoon before the 33-year-old can make his bow. Depor, second bottom in the table, are three points from safety with 14 league games still to play.